HTC EVO 4G LTE for Sprint is an Android smartphone with a huge 4.7 inch touch display, 1.5GHz dual-core processor, an 8 megapixel camera with HD video capture and Beats audio. The EVO 4G LTE can function as a mobile Hotspot, supporting up to 8 Wi-Fi enabled devices. Access thousands of apps via Android Market. See how the HTC EVO 4G LTE for Sprint stacks up against the very popular Samsung Galaxy S III for Verizon Wireless in Wirefly's newest Schmackdown Comparison Review Video. Wirefly's Scott Lewis will take you through this four round Schmackdown comparison of the EVO 4G LTE and the GS3. We take a look at the design of the GS3 and the EVO 4G LTE in round two and compare how some of the features on these two smartphones affect the design. In the last round you will see the results of an AnTuTu Benchmark and a Quadrant Standard Benchmark for both the GS3 and the EVO 4G LTE. See how the very powerful Sprint HTC EVO 4G LTE stacks up against the very popular HTC One S for T-Mobile in this smartphone comparison review video. Wirefly's Scott Lewis will show you the difference between these two great smartphones from HTC that share a lot of the same hardware and software. The HTC One S has been undefeated in the Schmackdown arena going into this match against the HTC EVO 4G LTE. 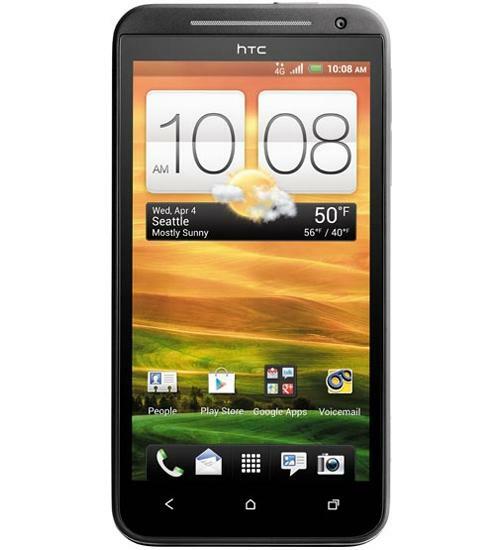 The HTC EVO 4G LTE is the latest Android powered smartphone to launch for Sprint to have all of the requirements to be considered the best of the best. See what you get when you order the HTC EVO 4G LTE from Wirefly.com in this unboxing review video from Wirefly's Scott Lewis. Scott will cover the main specifications and show you around the phones Android 4.0 operating system. Get a sneak peek at the HTC EVO 4G LTE for Sprint from Wirefly's Scott Lewis. Learn about all of the specs and interesting features of this super smartphone for Sprint's new LTE network before it is even available to buy! Aaron's back with the weekly Official Smartphone Rankings recap video! Aaron refs a dogfight battle between two hot Android phones on Sprint. Aaron does a dogfight battle between two hot Sprint Ice Cream Sandwich superphones: the Samsung Galaxy S III and HTC EVO 4G LTE. Aaron referees a dogfight between the HTC EVO 4G LTE and Samsung Galaxy Note, two premium smartphones on Sprint and AT&T.